When I was packing for my trip to Austin for South by Southwest, my son made a request. Sam had a serious look on his face as he handed me a little red Lego ninja. He told me to be sure I take it to SXSW with me. I stuck it in my pocket right away and assured him that I would. During the flight from Nashville, I had an idea. I would snap photos of the red ninja with the people I met and the places I went. 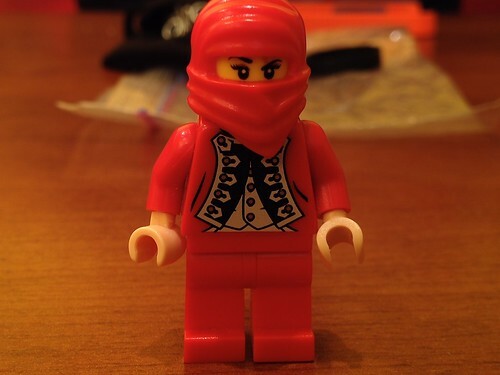 You may have been curious why so many of my tweets and Instagram photos included the little plastic assassin with the hashtag #redninja. The best part of the story is Sam had no idea I was doing this. I collected over fifty photos to show him the epic adventure we went on together. Both of my kids laughed as I showed them the photos. An unintended outcome was the fun questions I received from people about the ninja. I instructed everyone to search for #redninja to check out the photos. The feedback I got was hilarious and encouraging. What a great conversation starter! The red ninja got to see the cockpit of a plane, posed in the middle of 6th Ave, met a movie actor, read a great book, spun some vinyl, networked with fellow industry professionals, ate poutine, and much more. You can see the full set of photos here. Did you meet the red ninja?